While Facebook’s F8 conference was going on, Logitech quietly acquired earbud company Jaybird. The deal is worth $50 million, all cash, and could be worth as much as $95 million if Jaybird meets growth targets over the next two years. Jaybird will benefit from Logitech’s global distribution network and deep engineering prowess. We’ve watched as they’ve connected incredible products with passionate consumers under the UE brand, and we’re thrilled to be part of the team. Not all music gets to be shared out loud! We see it all around us everyday – people love to listen to music everywhere and sometimes in places where listening out loud would just not work. Jaybird hit on a great idea of making products for people actively engaged in sports and who wanted music to power their passion for their sport. 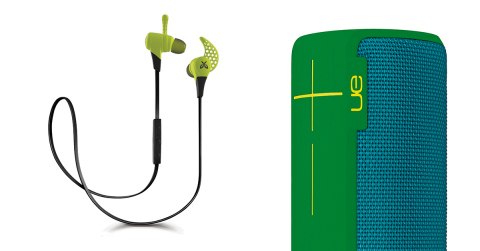 With the right product (and Jaybird makes them), you can now pursue your sport with your music. It’s a potent combination. The deal is expected to close in the coming weeks. It’s not immediately clear why Logitech didn’t just make its own earbuds, but news Apple is possibly getting rid of its headphone jack in the iPhone 7 may have prompted it to buy a company that already makes amazing wireless earbuds, especially if there’s indication other OEMs will follow suit.